Vivid Realty’s ethos is based on integrity and transparency and a process to deliver outstanding results for our clients. We pride ourselves on our ability to provide an exceptional level of service that is envied by others in the real estate industry. Across residential and rural sales, property management and marketing, our company has established best practice benchmarks for the industry. Our strengths lie in the quality and professionalism of our people and their insights into their local property market, history and trends. Our office staff have over a combined total of over 150 years life experience in THE ISA. Vivid Realty is more than a dynamic local real estate agent. We are an active member of the community, assisting local schools, sporting and interest groups and different charities. We all enjoy living locally and being part of our tight knit community. It's quite possible we have helped a number of people in your street sell their home or find a tenant for their investment property. Building client relationships that endure for years continues to be a highlight of the work we do. In October 2014 we moved into our newly renovated premises. Our aim was to create an environmentally friendly and dynamic space with the hint of luxury. The result is a stylish ultra-professional fit out that perfectly represents our culture and spirit. We want you to enjoy visiting our office, and feel at home. We want you to thoroughly enjoy your experience with us. We want it to be streamlined, successful and stress-free. So we do everything required to help make that happen. You will find our uniquely sophisticated service to be thorough, efficient, accommodating, personalised and professional. Vivid Realty is YOUR FIRST CONTACT! Greg, my husband and I opened Vivid Realty in October 2009. It was a 6 month effort and was made possible by the input of many people. We are a totally independent Real Estate office. I was born and bred in Mount Isa, having never left. After leaving school, I started a career at Mount Isa Mines, which lasted 24 memorable years. Upon reaching forty years old, I had itchy feet. My Father had previously worked in the real estate sales and property management industry and he had a strong passion for it, so off I set. The rest is history. I have previously worked in two other local real estate offices in Mount Isa. I am a passionate Mount Isan and love telling people what a great place it is to live in. I have a vested interest in the future of the Mount Isa region. I thrive on the positive feedback our office receives and encourage all my staff members to give their all. Brenda Thompson is a bright spark with a vivacious personality. 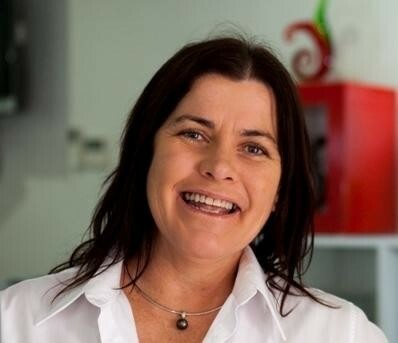 She is keen to make a difference in Real Estate in Mount Isa, Bringing fresh new ideas, excitement and a real passion to make it happen is Brenda's motto. Having experience in the banking and fitness industry, customer service is second nature to her. Mount Isa has been her family’s home for many years; she loves and enjoys the vibrancy, lifestyle and people it has to offer. Brenda is motivated by achievement. Combined with a professional approach and style she will be the person you are looking for.